Ghouls, goblins, firefighters, princesses, witches and dinosaurs were all in attendance for the 2018 Adams School Halloween parade on October 31. Students at Penobscot Community School paraded from the school to the Penobscot Historical Society in costume for some trick or treating and a costume contest. 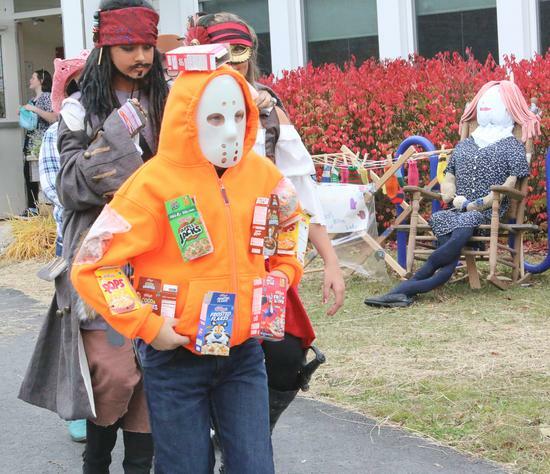 One Penobscot Community School student puts his spin on a deadly scary movie villain as The Cereal Killer. 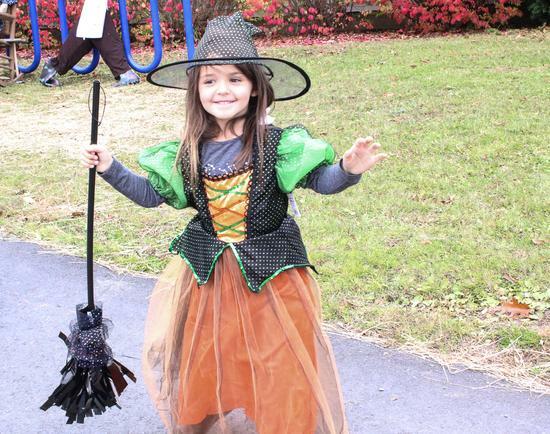 Ashton Flannery shows off her good witch costume. 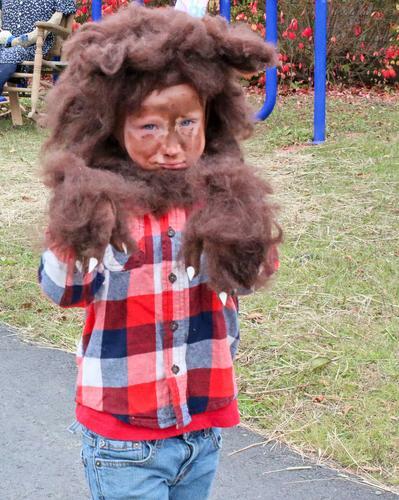 Christopher Leach shows his paws while marching in a homemade costume during the annual Halloween parade at the Penobscot Community School on October 31. 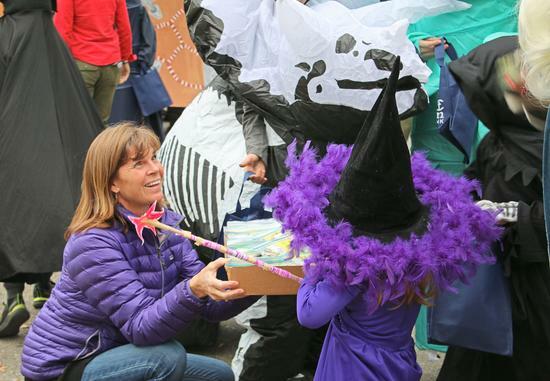 Castine Financial Officer Karen Motycka hands out candy at the Castine Town Office during a Halloween parade at the Adams School on October 31. 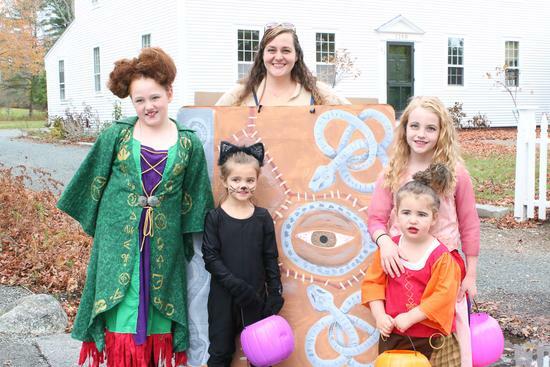 The Simmons family dresses as half the cast of the movie Hocus Pocus for the Adams School Halloween parade on October 31. From left are Acadia (Winifred Sanderson), Saffron (Binx the cat), mother Jessica (spell book), Gwenivere (Sarah Sanderson) and Aurora (Mary Sanderson). 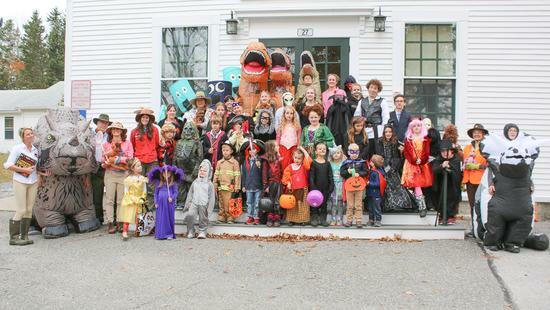 Students in all grades at the Adams School take a group photo before embarking on a Halloween parade through town on October 31.